Features a main compartment for your laptop charger, cables, mouse, sunglass, small speaker, power bank and a small internal soft pocket for mall stuff such as keys, sd card, earphone means an extra protection for them. It can be an accessory organizer, a travel storage organizer, a toiletry wash bag, makeup organizer, cosmetic bag, portable travel kit organizer, household storage pack, shaving kit bag, shaving dopp Kit, etc. 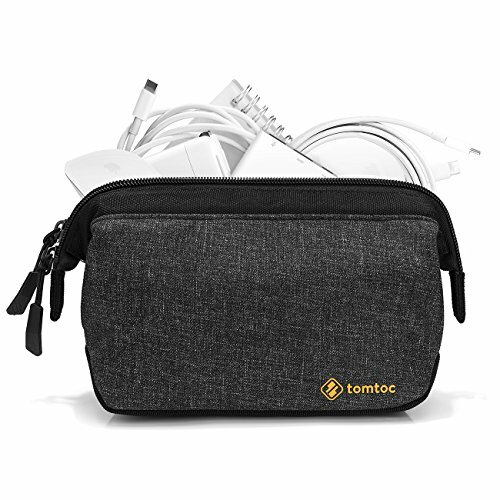 Large Capacity - Features a main compartment for your laptop charger, cables, mouse, camera, small speaker, power bank and a small internal soft pocket for mall stuff such as keys, sd card, earphone means an extra protection for them. Multi-Functional Bag- It can be an accessory organizer, a speaker or Camera Bag, a travel storage organizer, a toiletry wash bag, makeup organizer, cosmetic bag, portable travel kit organizer, household storage pack, shaving kit bag, shaving dopp Kit, etc.